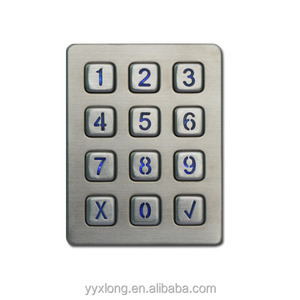 metal keypad 3. Q: How to pay the deposit9 A: 100% T/T for small order, and 30% deposti and 70% balance before shipping for large orders. metal keypa 4. Q: How to ensure the quality of the products9 A: Every piece of our products are under strict and repeat tests before delivery. m etal keypad 6. Q: How will you deliver the products9 A: Samples and small orders usually are shipped through international expressa and large ones are shipped by air or sea. 2 YRS Dongguan City Runwang Silicone Products Co., Ltd.
1 YRS Anhui Shuoyin Electronic Technology Co., Ltd.
hot sale ergonomics wireless numeric keypad product name wireless numeric keypad Effective distance 10M Bluetooth keyboard size 134*105*22mm Key stroke life 3-5milion times number of key 28 Keyboard material ABS BT version BT 3.0 Keyboard weight 73g Standby time 100days warranty 12 months certificates CE ROHS battery 2*AAA Support systems: IOS ,Windows ,Android OS systems devices Keyboard color Black ,sliver ,white , or customized colors [ Product features ] 1. Bluetooth technology provides a cable-free & clutter-free connection. 2. Compatible with the iPod and all Bluetooth-enabled tablets, laptops, and 3. Support for IOS /Android/Windows together, single systems also support 4 Scissor keycap structure for a nice touch feeling . 1.also Protect the interests of buyers L/C 1. No deposit payment required 2. Puts pressure on the supplier to comply with buyer requirements 1. Rarely accepted for very small orders (e.g. 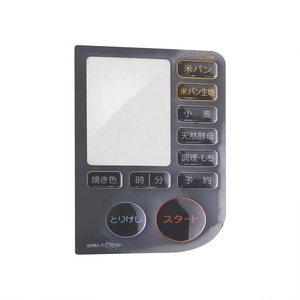 High Quality Custom Made Membrane Switch Keypad Membrane Keypad Custom Silicone Rubber Keypad&Keyboard Manufacturer. 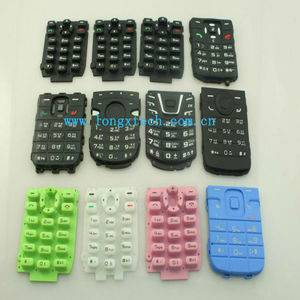 We produce high quality custom silicone rubber keypads at low prices using silicone compression molding. 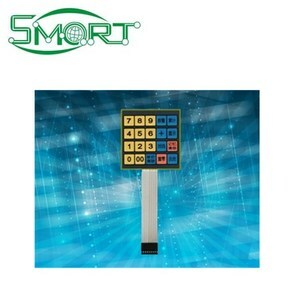 Keypads can be done in multiple silicone colors with multiple print colors for no additional charge. 8 YRS Guangzhou Zeshun Electronic Co., Ltd.
mobile phone flex cable for Nokia 6600 keypad 1. Quality control: All the parts must pass the inspection of our QC team 2. Packing: All spare parts pack in a bubble bag 3. Delivery time: Lead time is 1 or 3 days 4. Product model: We can provide all kinds of spare parts for cell phone, including LCD, Flex cable,touchscreen etc. 5. Information: We share the latest information of cell phone spare parts in China market every week. 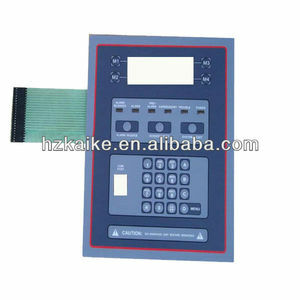 Alibaba.com offers 227 nokia keypad products. About 23% of these are keypads & keyboards, 1% are other rubber products. A wide variety of nokia keypad options are available to you, such as telecommunication equipment, calculator, and home appliance. You can also choose from silicone, metal, and rubber. As well as from paid samples, free samples. There are 227 nokia keypad suppliers, mainly located in Asia. The top supplying country is China (Mainland), which supply 100% of nokia keypad respectively. Nokia keypad products are most popular in North America, Northern Europe, and South America. You can ensure product safety by selecting from certified suppliers, including 52 with Other, 46 with ISO9001, and 5 with ISO14001 certification.